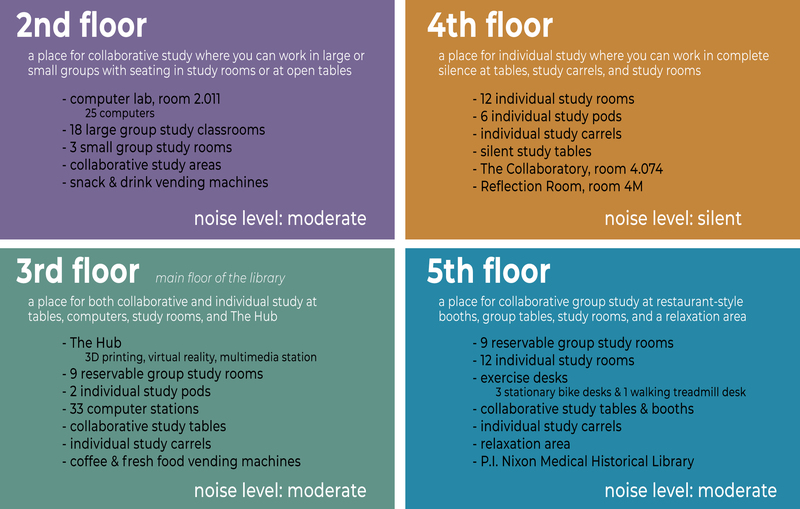 One group study room is available to UT Health Science Center students, faculty, residents, and staff. Data cables inside the study room may be used with personal laptops. The staff workroom is also available for study space; however, library staff members have priority use over this space and should still be able to access the library’s storage room. Contact Laredo Library staff for information about availability. Contact Scheduling & Facilities Data Management to reserve a room.